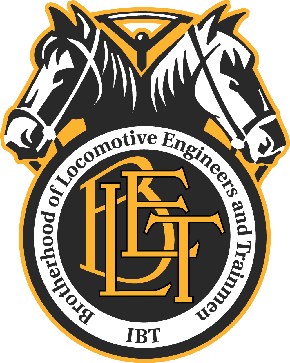 INDEPENDENCE, Ohio, June 7 – By a better than 2-to-1 margin, members of the Brotherhood of Locomotive Engineers and Trainmen (BLET) ratified a new collective bargaining agreement with the Canadian National’s former Illinois Central property on May 30, 2018. The contract governs 475 locomotive engineers and runs through December 31, 2019. It provides retroactive pay beginning August 1, 2015, and 3 percent general wage increases on August 1 each year through 2019. The total of GWIs payable during the term of the agreement is 12.5%, resulting in a total compounded increase of 13.14%. The CN-IC contract provides the same health and welfare plan as BLET members covered by the National Agreement, with monthly payments frozen at $228.89. There are no work rule changes in the contract. “In negotiations, we have defended our number one stance in not allowing some form of use of management personnel to operate trains, which we demand exclusively as our work,” General Chairman Clay E. Craddock said. BLET National President Dennis R. Pierce thanked BLET members for participating in the balloting and ratification process. He also thanked the negotiating team of National Vice President Marcus J. Ruef, General Chairman Clay Craddock, and 1st Vice General Chairman W.D. (Billy) Evans for their efforts in bringing the round of negotiations to a successful conclusion. In 1998, the Canadian National Railway absorbed the Illinois Central Railroad in a $2.4 billion merger. CN-IC’s major north-south route connects Chicago with Mobile, Ala., and New Orleans, La.